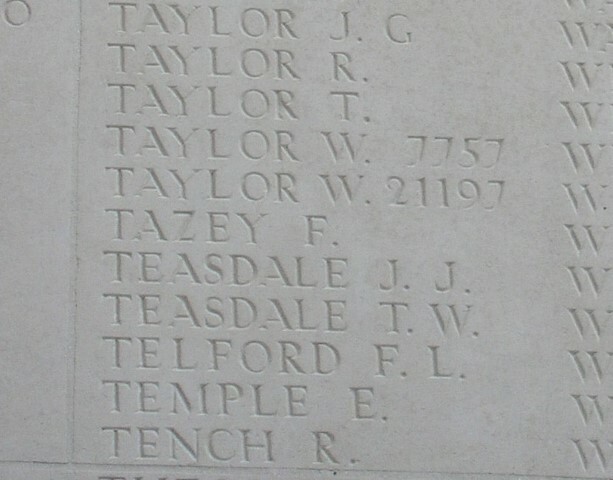 45641 Private Frederick Tazey, 15th Battalion, the Durham Light Infantry was killed in action 16 September 1916 and is commemorated on the Thiepval Memorial to the Missing of the Somme. He was 18 years old and is commemorated on the Etherley War Memorial and the Roll of Honour, St. Cuthbert’s Church. In 1901 the family lived at Fir Tree, in 1911 Greenside, by February 1915 at Low Etherley  and by 1919 at 9 Albion Terrace, Witton Park. Fred Tazey was unmarried. The Division crossed to France in September 1915 and served with distinction on the Western Front throughout the war taking part in the Battle of Loos in September 1915. Private F. Tazey was a later draft and he did not enter France until 15 June 1916. He would have seen action on the first day of the Battle of the Somme, 1 July 1916 and the Battle of Bazentin, 14 – 17 July 1916. Then the 64th Brigade came under the orders of the 41st Division for the Battle of Flers-Courcelette, 15 – 22 September 1916. There follows some detail of the battle of the Somme  before the Battle of Flers-Courcelette and the role of 15/DLI is discussed. Private F. Tazey was awarded the British War and Victory medals. 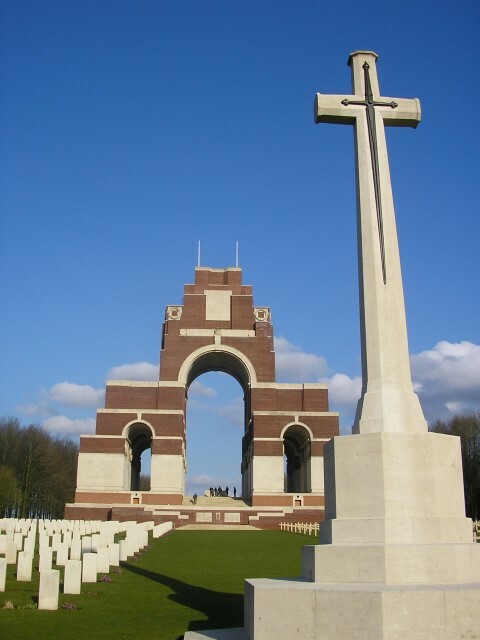 Private F. Tazey has no known grave and is commemorated on the Thiepval Memorial, the Memorial to the Missing of the Somme, which bears the names of more than 72,000 officers and men of the UK and South African forces who died in the Somme sector and who have no known grave. Over 90% of those commemorated died between July and November 1916, the duration of what we now call the Battle of the Somme. The memorial, designed by Sir Edwin Lutyens, was built between 1928 and 1932 and unveiled by the Prince of Wales, in the presence of the President of France, on 31 July 1932. The 14th (Light) Division in which 10/DLI were part also took part in the battle and 32166 Private T.A. Alderson from Low Etherley was killed in action 16 September 1916. He also has no known graves and is commemorated on the Thiepval Memorial. NOTE: if this as the case then he would have been born about August 1896 BUT both the 1901 & 1911 census record his age which gives a birth date of c.1899. His birth was registered Q3 1898. England & Wales BMD Birth Index 1837-1915. Vol.10a p.314.